The Templars has now been published as an ebook by Harper Collins in the United States. It can be downloaded directly from the publishers or from other ebook providers; for example, it is available as a Kindle edition on Amazon.com. 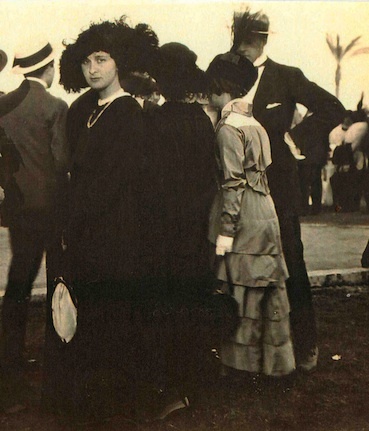 Rose de Menasce at the Sporting Club, 1914. She was a friend of Constantine Cavafy in the 1920s and of Lawrence Durrell in the 1940s. This photograph serves as the frontispiece of Vintage Alexandria. 'Vintage Alexandria offers a tantalising glimpse of the early decades of Egypt's twentieth century. A photographer as well as a historian, Haag demonstrates an eye for both the evocative and the documentary. ... Readers familiar with the work of Lawrence Durrell, Constantine Cavafy and E M Forster will appreciate this vision of a city "as brilliant, sophisticated and advanced as any in the Mediterranean"'. 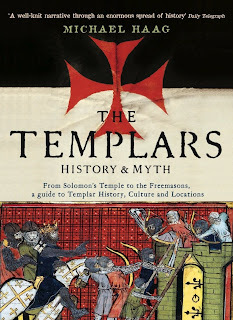 The Templars: History and Myth is going into paperback in Britain early this summer. 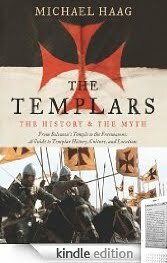 Profile Books, publishers of the hardback edition, will be publishing the paperback edition of The Templars on 2 July 2009. The hardback and paperback covers are identical except for the addition of a line from the Daily Telegraph review: 'A well-knit narrative through an enormous spread of history'. Cadogan Guides are publishing their fourth edition of Michael Haag's Egypt in August. 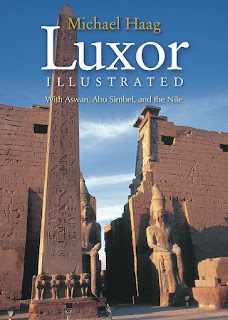 The cover shows the Temple of Isis at Philae, a short distance up the Nile from Aswan. Worship of the goddess continued at this spot until AD 543 when the emperor Justinian closed the temple and removed her cult statues to Constantinople. 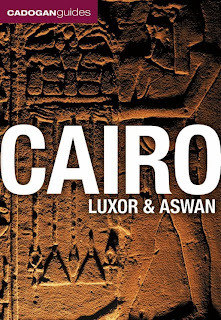 Cadogan Guides are publishing the third edition of Michael Haag's Cairo Luxor and Aswan in October. The cover shows a relief at the Temple of Luxor. 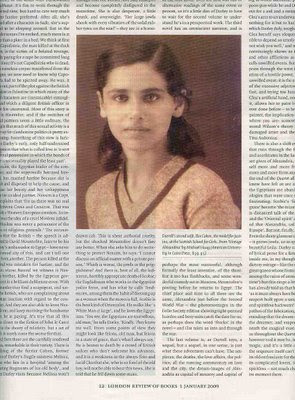 In its 1 January 2009 issue The London Review of Books ran this photograph of Eve Durrell, Lawrence Durrell's second wife and the model for Justine (click on the photograph to enlarge). The photograph is from Michael Haag's Vintage Alexandria: Photographs of the City 1860-1960 (see below).